I happened to pass right by Jide’s Remix Mini booth at CES without realizing what it was. Something told me to turn around, wait my turn and inquire about this concept. I’m glad I did. I was sold immediately when the spokesperson told me that I could install an Android operating system on my old and obsolete PCs. Remix started as a successful Kickstarter project (they asked for $50,000 and got more than $1.5 million in funding). 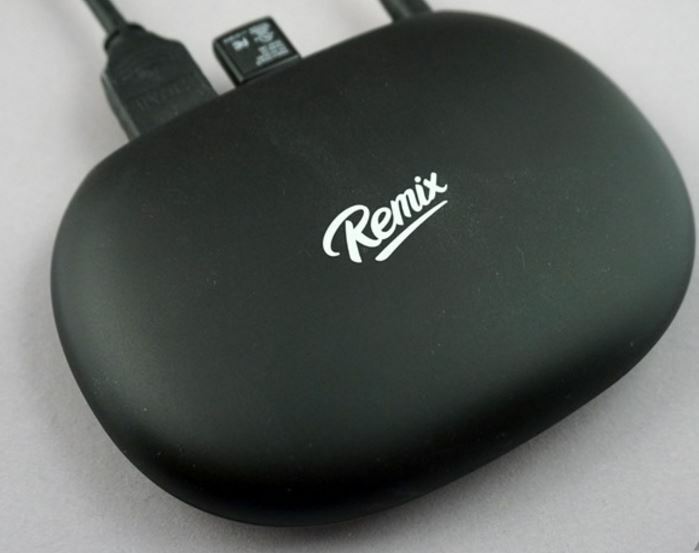 Remix is exactly what it claims to be: “A cheap Android device that serves as a full PC.” You can use a USB drive to install Remix on any old PC or for under $70 you can get the Remix Mini, which is a 1.2GHz quad-core Allwinner processor with 16GB of storage and 2GB of RAM. Two USB 2.0 ports, an ethernet port, a HDMI out and a headphone port are on the back. Of course it comes with Android Remix OS and access to a number of Remix-specific apps and direct access to Google Play. Hands down one of the coolest things I encountered at CES 2016.